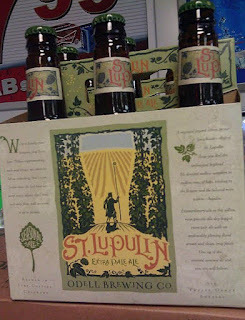 Odell Brewing has released what may be it's most popular seasonal, St. Lupulin. Billed as an Extra Pale Ale, Lupulin has that Odell signature hop character without being overly bitter. The beer is 6.5% ABV and 46 IBUs, and should be available at your local liquor store now. You should also find it on tap in some bars; I remember seeing it at Blackbird Buvette last year, on the one day I went to Blackbird Buvette last year. Repackage, repackage, repackage, and throw in a new style for good measure. Samuel Adams seems to have this down to a science, and if it sells, who can blame them? The latest box, IPA-Hop-Ology, has six different IPAs, three of which (Third Voyage DIPA, Dark Depths Baltic IPA, and Tasman Red IPA) are seeing 12 oz. bottles for the first time. The variety pack also contains Whitewater IPA and Latitude 48, along with the obligatory new style: Grumpy Monk Belgian IPA. 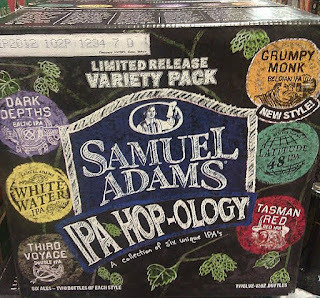 The box o' IPAs retails for $15.99 a 12-pack, and I don't know whether to buy it or wait for Grumpy Monk to show up on its own...or wait for Jubilation to open a box and sell them as singles. 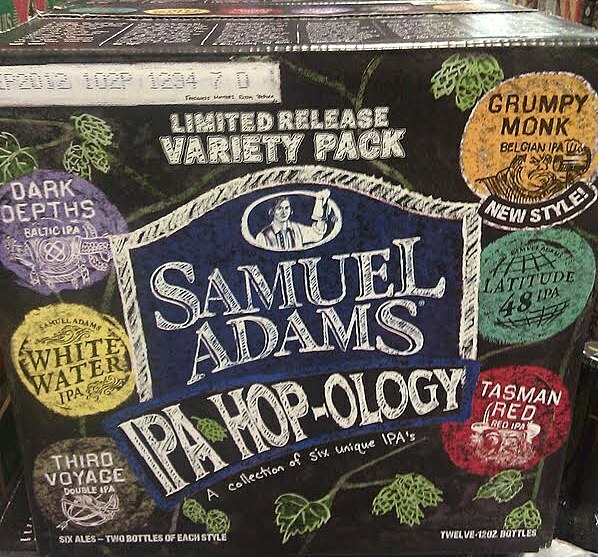 Gonna buy a 12 pack of the Sam's IPA today.